Made from the freshest and finest ingredients, our selection of entrées is an easy way to serve your family's favourites. 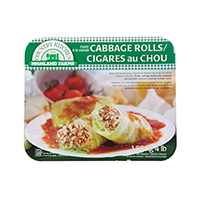 Tender cabbage is stuffed with all natural ingredients like seasoned beef and rice. 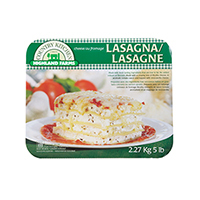 Everything is smothered in rich tomato sauce. 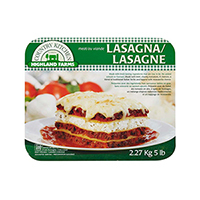 This savoury dish is layered with a creamy mix of ricotta cheese, fresh tomato sauce and topped with mozzarella. 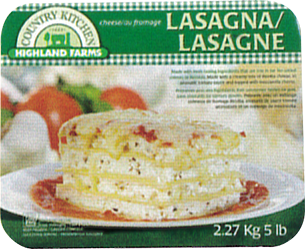 Our Homestyle Lasagna is made from layers of premium quality durum semolina, tangy Parmesan cheese and a zesty meat sauce made from ripe tomatoes and tender beef. 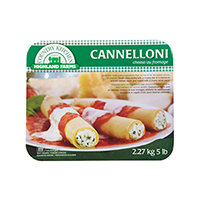 This family favourite includes three of the finest cheeses, ricotta, mozzarella and parmesan in a base of pure durum semolina, perfectly seasoned with oregano and other spices. 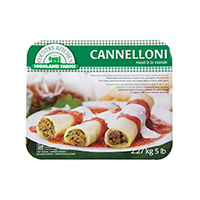 Only the freshest, most tender, 100% veal is slow-cooked to bring out all the flavour resulting in a mouthwatering meal for your family.